Boobyball 2013 definitely put the 'FUN' in fundraiser! The entire Devour Catering team really enjoyed being one of the sponsors of this year's 'Boobyball' fundraising event on October 24th. 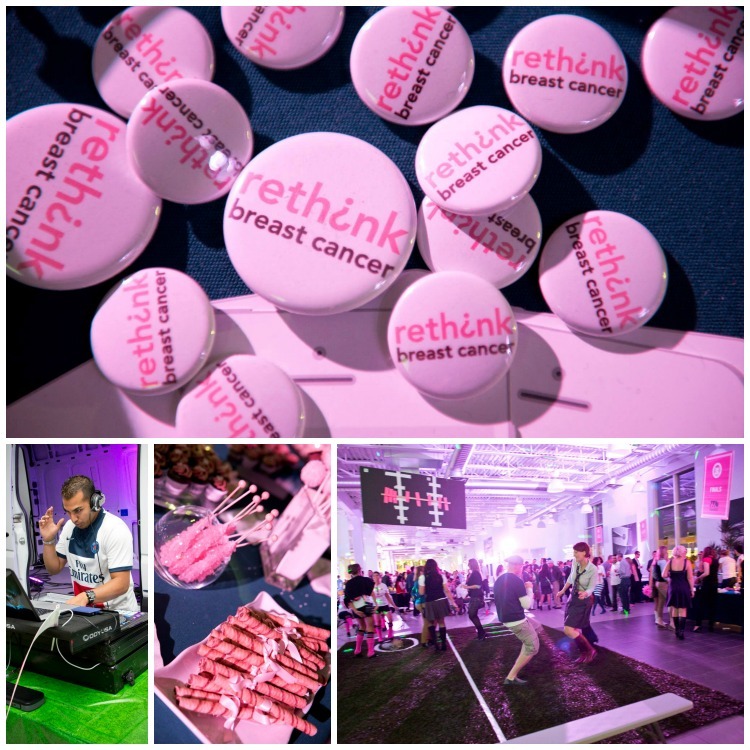 Rethink Breast Cancer is a national organization that provides support programs for young women who have been diagnosed with breast cancer. Since many support programs often don't focus on the needs of younger women with breast cancer, Rethink provides important connections, information, and support for women and their families. We created a menu that encapsulated the best of the Fall season and presented a twist on a Thanksgiving dinner turned into a cocktail party. All the tastes you associate with Thanksgiving were there; stuffing, turkey, yams, green beans, and pumpkin. Comforting and warm foods like turkey stew and cheddar biscuits were complemented by fun little treats like baby spinach dips in hollowed out two-bite brioche buns…. (Darn it!! I wish I had a photo of those – they were adorable and scrumptious). Aloha! At the end of July we catered a fabulous Hawaiian themed cocktail party for a client's birthday. We had a huge amount of fun creating the menu. Many people think that the best way to 'theme' a party is to throw a few theme appropriate decorations around and maybe some music...not us! We go all out. Feel the Devour Catering love! Fun ways to share favourite celebration memories. Devour Catering loves family style dinner service since it's a wonderful way for guests to get to know each other. There would truly be nothing to Devour without the wonderful people who trust us with their celebrations and we always want to show our gratitude to them. We believe that the best way to say thank you is to throw a party!